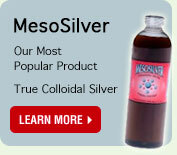 Silver -- colloidal or ionic silver, silver in solution -- is a potent antibacterial product. It has been demonstrated as such for well over 100 years. Because of the metal’s antibacterial properties both Curad and Band-Aid have come out with a new line of silver-infused bandages. Silver has been used for thousands of years as a healing and preventive health product. Treating wounds with silver was common from the 1800s to the mid-1900s when the use of antibiotics took precedence in the medical field. However, silver is still utilized in many medical circumstances. Newborn infants’ eyes are treated with silver to prevent infection. Hospitals use a silver treatment to dress scars and wounds, especially wounds that resist healing. Catheters are lined with silver to prevent infection and water is purified with silver. Now silver is coming to the at-home health care market. Silver is incorporated into the wound pad of the new bandages which come in a variety of sizes. They can be used to treat cuts, scrapes and burns. No antibacterial spray or ointment (such as Neosporin) should be used with these bandages because it may hamper the silver’s healing properties. Although scientists and health professionals have warned about the rise of “supergerms,” microbes that have become resistant to antibiotic treatments, bacteria seems unable to build up a resistance to silver. Silver interferes with the bacteria in at least three ways: by interacting with the cell membrane, binding to the DNA of cells, and blocking the metabolism of the bacteria. It reduces the growth of hundreds of different types of bacteria, including some that do not normally react to pharmaceutical antibacterial agents. Because silver blocks the growth and spread of germs through multiple mechanisms, it is hard for bacteria to build up resistance. Unlike some other metals, silver is not poisonous to the body—only to harmful microbes. It is also not addictive, and is very difficult to overdose on. In addition to hundreds of years of practical use, recent scientific studies on humans and animals have shown that wounds treated with silver heal at a faster rate than those treated without silver. Silver dressings are used regularly in the hospital setting to help control infections in major wounds and burns. Now, consumers can use silver for at-home first aid emergencies with the Curad® Silver Bandage line. Curad® Silver Bandages use silver in the wound pad, which acts as a natural antibacterial. Laboratory testing showed that silver reduced bacterial growth like Staph. aureaus, E. coli, E. hirae and Pseudomonas aeruginosa in the dressing for 24 hours. Doctors at a dozen hospitals are testing a new type of bandage that has silver included in the dressing. The new bandage is expected to promote faster healing and reduce pain for patients, especially those who have suffered bums. Currently, doctors use silver-sulfadiazine cream to coat wounds because silver inhibits bacteria. However, most burns need to be cleaned and redressed every 12 hours which is painful. Pain is caused by exposure to air. The new dressing needs to be changed only once every 24 hours cutting the patient's discomfort by half. Doctors are testing the bandages on patients with second-degree burns at Vanderbilt University Medical Center in Nashville, Shriners Children's Hospital in Sacramento,Johns Hopkins in Baltimore, Parkland Memorial Hospital in Dallas, L.A. County Medical Center in Los Angeles, Tampa Bay Regional Burn Center in Tallahassee and other hospitals and medical centers. If successful, the tests could help relieve pain for the 300,000 people in the U.S. who are seriously burned each year. Seventy thousand require admission to hospitals and 6,000 die from their burns. People in burn wards have known for a very long time that soaking bandages in a low concentration colloidal silver solution inhibits infection in burn victims; it literally saves their skin. In severe cases, it can even save their lives. Burn wards know this, and silver has long been used as an anti-infection agent with bandages or other medical supplies all around the world, especially in Russia, China, Japan, and Germany. Using a true colloidal silver that contains most of its silver content in the form of silver nanoparticles, it is easy to make silver bandages at home. The bandage pad is simply soaked in the colloidal silver and allowed to dry. The nanoparticles of silver impregnate the bandage material and will provide anti microbial protection when the bandage is applied to a wound. On a smaller scale, a Band-Aid strip can be used by simply putting a few drops of colloidal silver on the pad. It can be allowed to dry and saved for later use, or it can be used while the colloidal silver is still wet on the pad. Likewise, larger wound dressing bandages can be applied while wet with colloidal silver. The colloidal silver will speed wound healing and reduce the amount of scarring.